JOLIET, Ill. (WLS) -- The Old Joliet Prison caught fire Monday morning. Collins Street was closed to traffic between Woodruff Road and Louise Ray Drive as firefighters battled the blaze, police said on the Joliet Police Department's Facebook page around 9:20 a.m. Drivers should avoid the area. 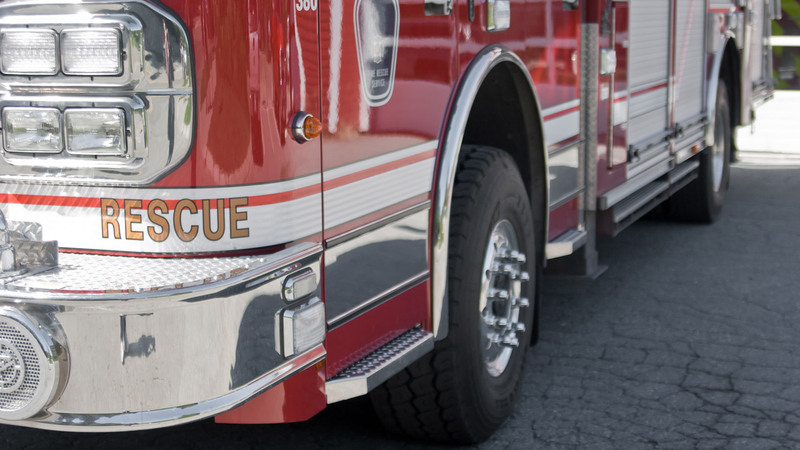 The Joliet Fire Department said on its Facebook page around 10:42 a.m. that a 40-ft. by 100-ft. building was on fire and that three engines, one truck, two ambulances and a battalion chief responded to the call. The Old Joliet Prison caught fire earlier this year. Firefighters spent hours at the scene. A 15-year-old boy was charged with arson in that case. Investigators will try to figure out what caused a fire Monday at the Old Joliet Prison. The Illinois Department of Corrections owns the prison, which was made famous by the movies "The Blues Brothers" and "Let's Go to Prison," as well as the TV series "Prison Break." The Old Joliet Prison has been closed since 2002. There was another fire there in 2013.